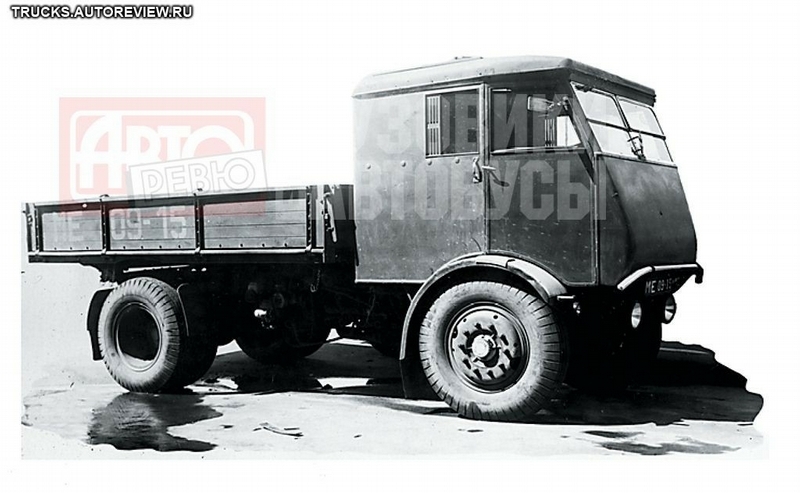 The unique truck we gonna tell you about appeared in 1949. People still remembered about severe war time when freighters had to perform their tasks with a shortage of liquid fuel – gasoline. Partially the problem was solved by gas-producer vehicles – heavy and demanding – they allowed to get gas for powering engines. However such vehicles were not efficient enough and engineers thought about steamers which were used widely abroad in the 1920-40s. There was a serious conflict between the USSR and America in 1949. It’s the very year when the USSR tested the first nuclear bomb.And it’s when they were still building steamers powered by wood! 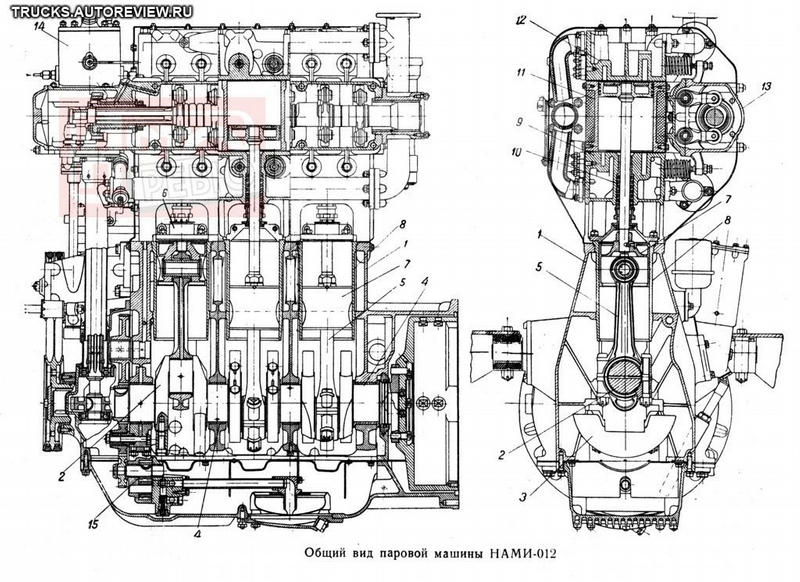 One Soviet institute was set a task to build a steam vehicle powered by wood. Nobody had ever tried to do that before. Its lifting capacity had to be not less than 6 tons at its full mass of 14,5 tons including 350-400 kg of wood in its bunkers and 380 kg of water in the boiler. The maximum speed had to be about 40-45 km/h. Once it was fully fueled it could overcome the distance of 80 km. Cycle diagram of the steamer. The prototype for such steam vehicles was Sentinel S.4 from England. 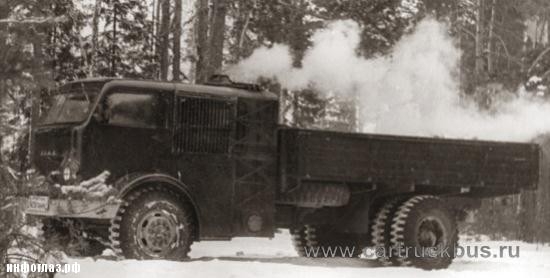 The cabin for three was placed over the front axle, behind was a compartment with a steam power plant including the boiler. In the rear part the cargo bed was mounted. The main power was tapped to the front axle. 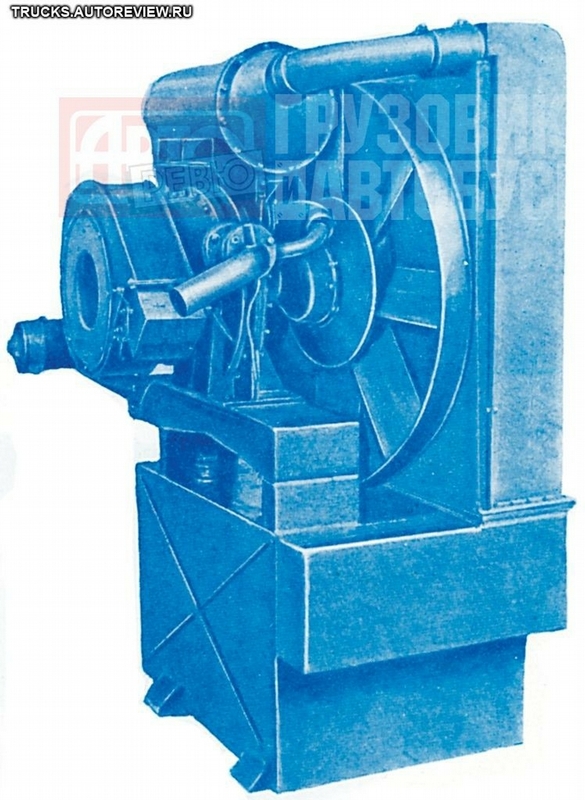 The gearbox had a direct and downshift gears with a gear ratio of 2.22. The downshift gear could be activated without full stop of the vehicle. The pedal effort was considerably reduced. General view of the steamer. To drive such a vehicle one had to be specially trained. All the machenism was very complicated. 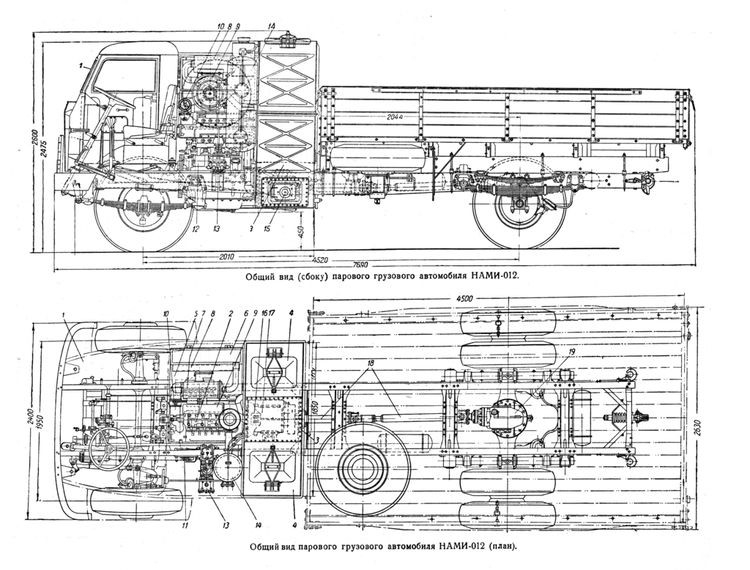 In some areas 40-60% of all trucks were powered by gas producers. It was not easy to deliver oil from remote Baku somewhere to Siberia, you know. After the war the insitute started to design a steam car which was powered by fine coal (with help of a fireman). 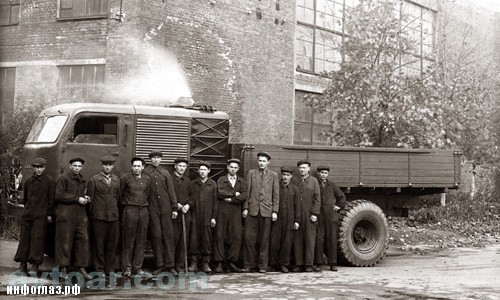 The coal consumption was enormous – 152 kg for each 100 km. Despite this fact, the use of the car turned to andvantage. Gasoline was much more expensive than coal. Behind the cabin was a compartment with an inspection hatch. 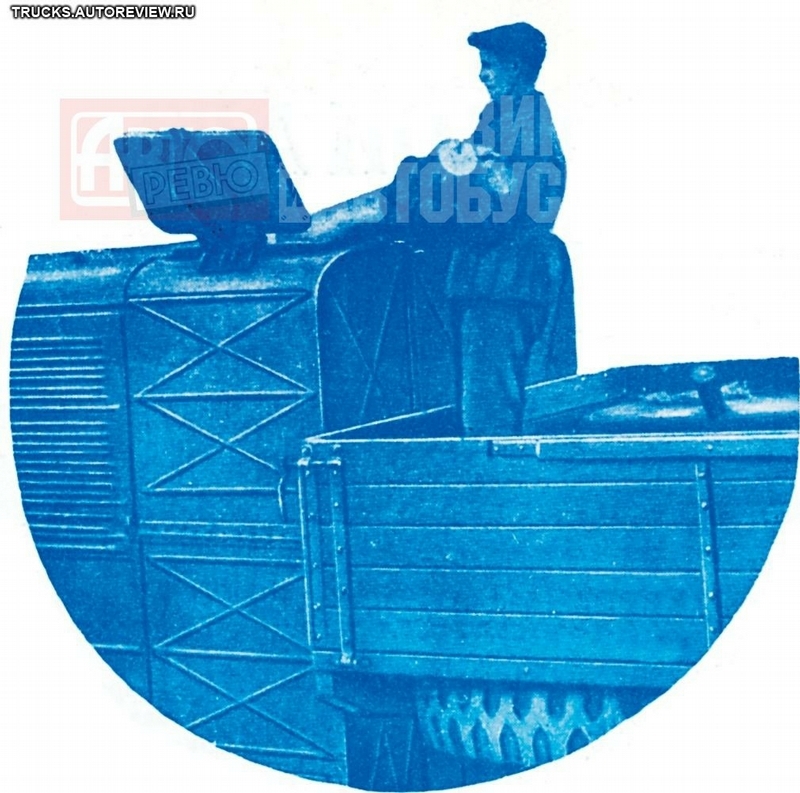 Soon they created a steam car on the chassis of YAG-6 (which was almost a full copy of the English vehicle). It had to be powered with liquid fuel or anthracite but they didn’t finish it: exotic steam cars were not something they needed in the post-war time. Soon they came to the billiant idea to power it with wood. The country was full of woodcutters – prisoners of numerous camps. The diameter of the logs they powered the car with was 20cm. Nobody had ever tried to power cars with so big logs. The boiler had a unique construction – it didn’t require a driver to watch the process of burning and to add firewood. Advantageous placement of the heating surfaces and well-arranged furnace process allowed to use fuel rather efficiently. 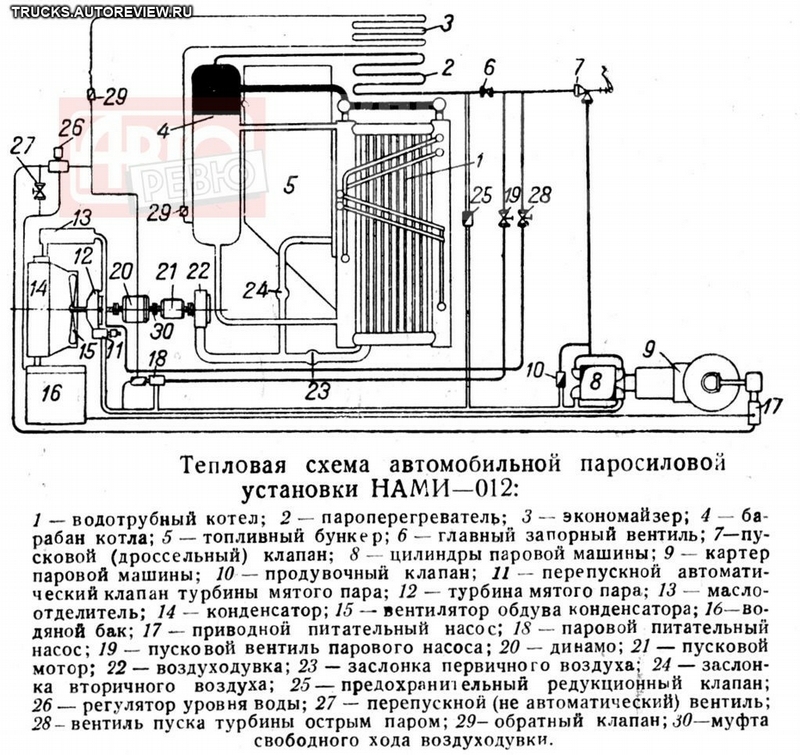 NAMI-012 was finished in 1948, it had power of 100hp, 1250RPM, comparatively light weight but so heavy boiler aggragate (about 1 ton). 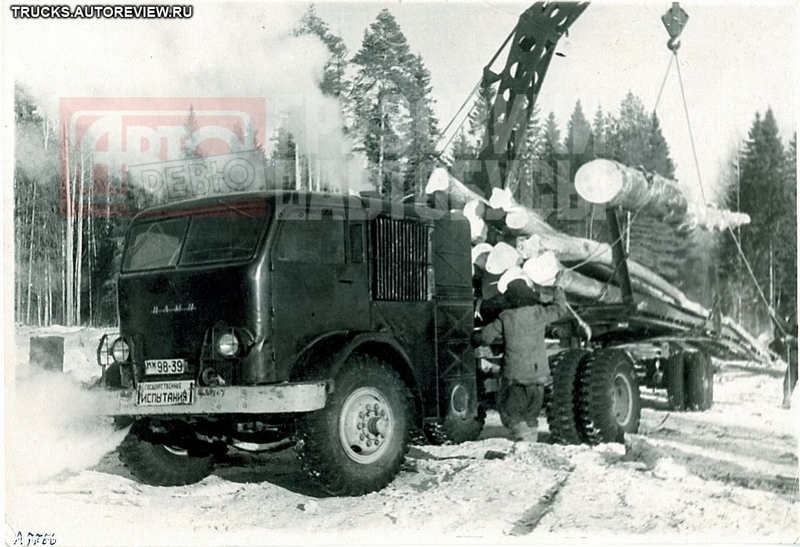 The vehicle had to be filled with logs, than fired up for half an hour and even longer if logs were wet… But a fireman was not needed anymore. Burning logs were sinking by themselves, under their own weight. 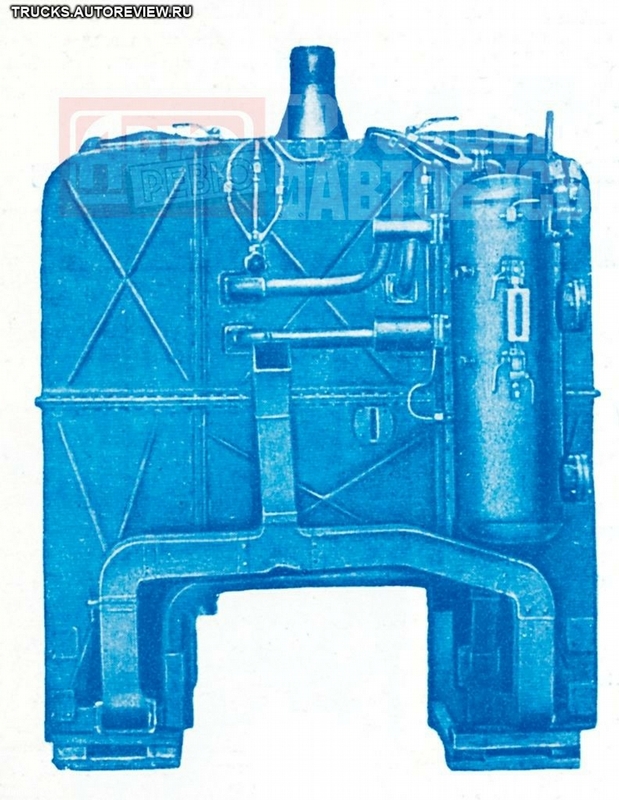 Water tube boiler unit with fuel bunkers was mounted on the frame. The results of NAMI-012 tests were vrather good. The vehicle turned out to be rather efficient and reliable. Though, the level of water in the boiler had to be constantly maintaned and adjusted. The weight of the vehicle with a trailer was twelve tons. 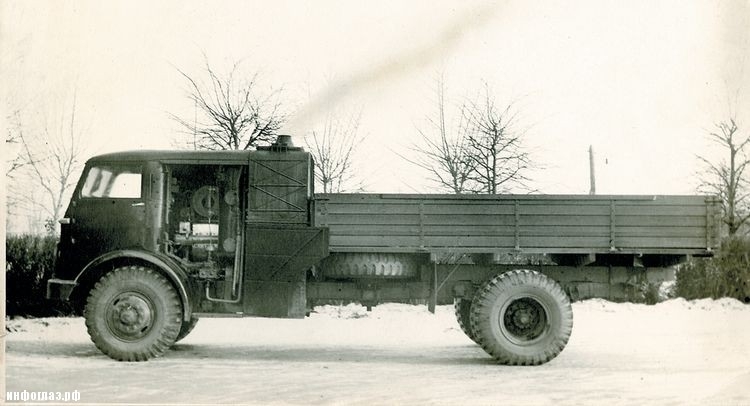 The kerb weight was equal to 8.3 tons. It was perfect for dirt roads. Being fully loaded it could speed up to 40 km/h. 200 l. waster tank with a turbo blower, oil separator and condenser. This is how they loaded wood. On cold days they had to drain water (about 200 litres!) to prevent it from freezing before sunset and fill it again in the morning. 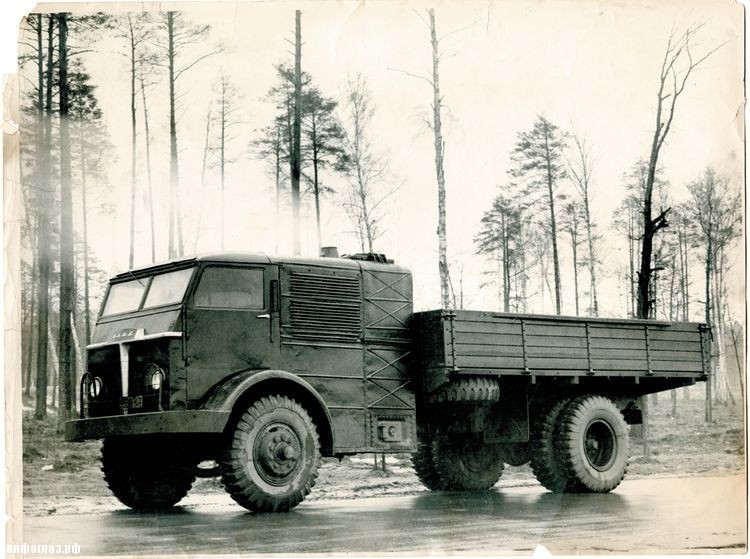 The trial model was followed by two more vehicles (built in 1949-1950) which had a bit different appearance. They were tested in very severe conditions, it was up to -40C cold and water had to be brought from the nearest lake. 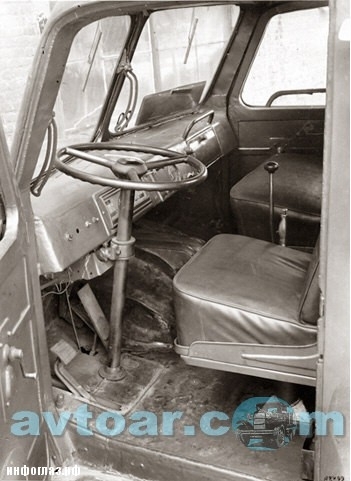 Due to heavy load on the front axle such vehicles were simply sinking on dirt roads when being fully loaded. 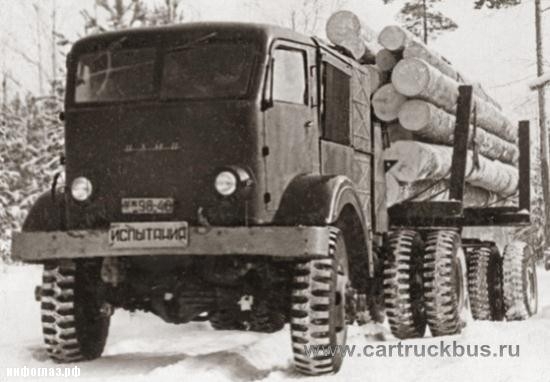 So they built the forth model of a timber truck – NAMI-018. 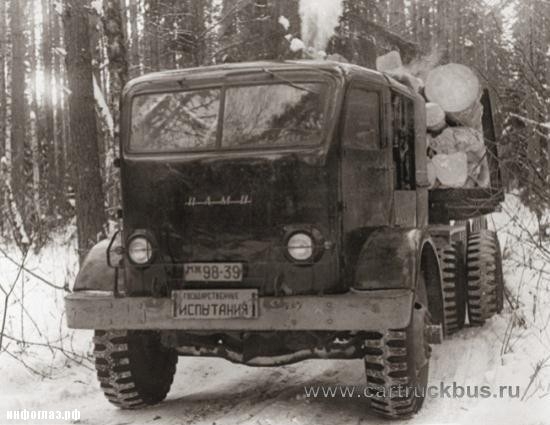 When its rear wheels were slipping, the front ones started to pull, taking the full load. NAMI-012 in 1951 during official tests. 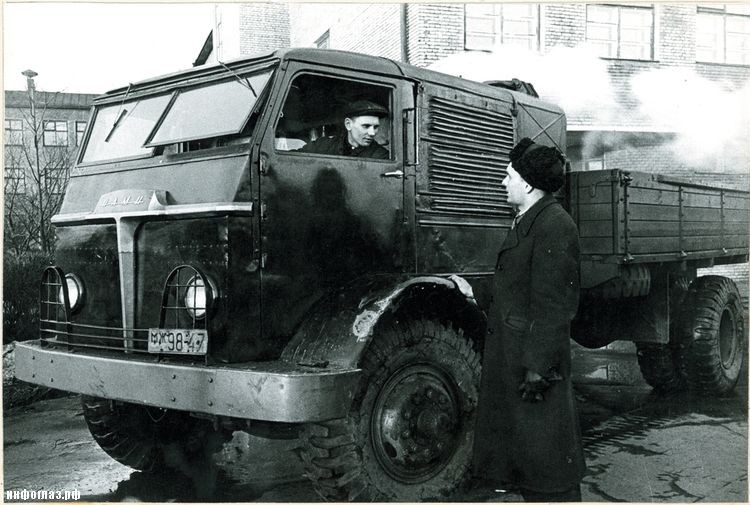 The final model – NAMI-018 in 1953. The destiny of NAMI vehicles is rather sad. They didn’t even become museum exhibits as well as other numerous interesting Soviet inventions. The first steam vehicle powered with wood became the last. Nobody tried to make something similar after that. Why did they start to make them? Probably for the country defence. If a nuclear war started, the only fuel available in the country would be logs and in such a case they would extremely need steam vehicles. But they didn’t. 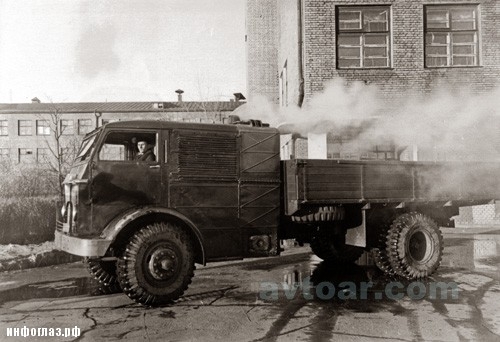 England still has about two dozens of steam vehicles which became a prototype for the Soviet ones. They are taken care of and polished to shine, participate in veteran meetings. I imagine that the use of pelleted wood and a small computer to control the boiler would add to the efficiency of the set up. With wood pellets the fuel could be stored outside the cab and conveyed to the boiler at need, thus reducing the front-end weight somewhat. Wood pellets could be made from ground up leaves and branches that cities already need to handle as waste anyway. Even paper and cardboard could be pelleted for use too. Not sure about paper and cardboard these days. It contains too much chalk or whatever. If burnt in a stove, it leaves too much ashes. Very interesting; however it’s just another wasteful and inefficient product of the Soviet Union. you are not up to date. If the USA made this you would be all “Well, that’s kind of cool. Not marketable, but cool”. Just because it’s a beautiful piece of soviet ingenuity and engineering do you write it off as “wasteful” and “inefficient”. Not everything appears at the right time, you know. that’s awesome because I bet on a cold winter day that cabin will be nice and toasty hot. Reminds me of sleeping on the ol’ stove while at the farm. wish some of these were still around to study. Poorly written and research information. This technology is quite common and still used across the world from Norway to the United States. Research it online to see actual information. They use this technology for equipment also. Well, I’m glad I am not the only one to wonder if this is possible. Then again, driving on wood is far from a dead technology. A man in the US south named Wayne Kieth has been perfecting gassification for use in IC engines for a number of years. here in central europe we have actualy a big fan community for cars and motorcyclist they drive every day. this is old car bt so strong then any car now a days.its normaly used in america.its made with strong wood.